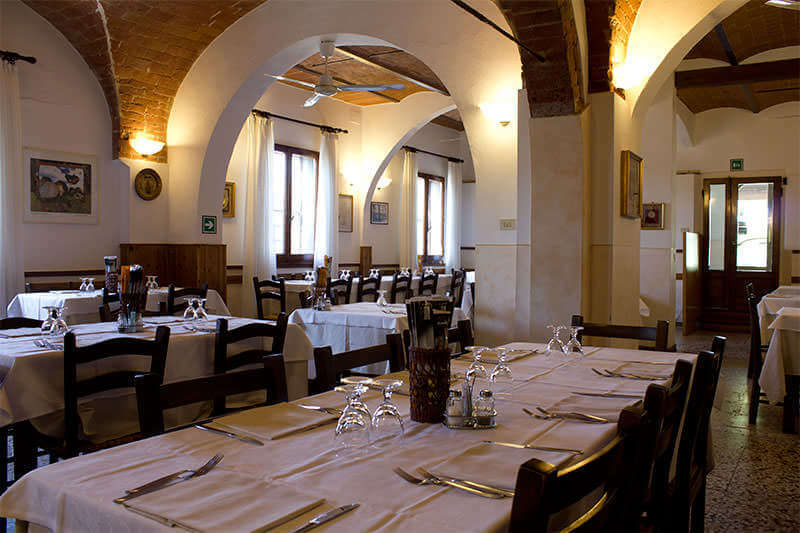 The italian cuisine restaurant Collebrunacchi is a familiar and welcoming place.The restaurant is built in Tuscan style, with wooden beams and cross vaults.There is a fireplace, in the center of the room, that makes lunches and dinners warm and convivial, during winter days. 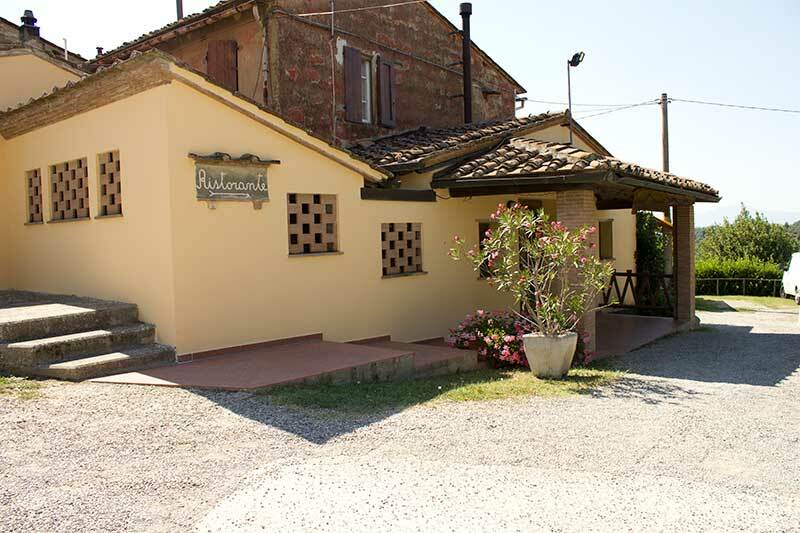 Collebrunacchi was born as a simple tavern where locals people gathered to eat a sandwich and drink a glass of good wine, to play cards and to play bowls. Over time, the place has evolved into a small inn where people eat the dishes that the chef prepared daily. The years pass and generations change, but the restaurantretains the tradition of Tuscan home cooking, made of simple and authentic flavors. Enjoy the taste of simple home cooking. In our restaurant you can taste the typical dishes of Tuscan cuisine. In addition to the classic Tuscan bread soup (better known as “Ribollita Toscana“) you can eat dishes like the famous “pasta with wild boar“, “Pappardelle with hare” and the dishes withwhite truffles of San Miniato. Do not miss out on the famous tagliolini with white truffle from San Miniato and the delicious penne della fattoressa with meat sauce. As a second course the great dishes of roast and grilled (the mouth watering game roasts), and finally our homemade desserts.